Planting a tree in memory of a loved one to celebrate their life provides beauty and remembrance for generations. 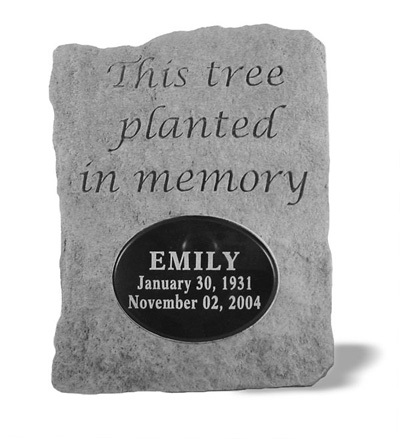 Our personalized tree stone marker is made of cast stone concrete and is durable for all seasons. Tree planting memorial stone measures 7.5" x 9" x 2"